Welcome to R-Oil – cold-pressed Rapeseed Oil, a new type of cooking oil made simply by pressing the rapeseed grown on our farm in the Cotswolds. R-Oil is entirely natural and unadulterated. Extracted in the same way as extra virgin olive oil but lower in saturated fat (R-Oil: 7%, Olive Oil: 14%), and far more cost effective. With its amber colour and light nutty flavour, R-Oil looks and tastes great. Extremely versatile and high quality, R-Oil is already being used in Michelin-starred restaurants in a variety of ways from deep frying to salad dressing, marinades to roasting.... Simple, sustainable, delicious! We run a service whereby we collect our waste oil from the catering trade and turn it into bio-diesel to run our vehicles. We also use the oil by-product as animal feed which means that absolutely none of the original crop is wasted. 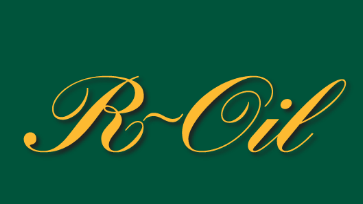 R-Oil was established. We began selling it in 20 litre barrels and 5 litre cans to the catering trade and in 500ml and 1litre glass bottles to retail outlets. Throughout our period of setting up, we have placed enormous emphasis on the environment and we are very conscious that waste must be kept to a minimum. It is an excellent source of linoleic and linolenic acid which our bodies convert to Omega 3 and Omega 6 fatty acids both of which are essential for a balanced diet and can only be obtained through food. R-Oil has just 6% saturated fat content, much lower than most olive oils which have around 14% and sunflower oil which has 10%. It contains no trans fats, something the media has recently portrayed as particularly negative for our health.